Jenny Wiater is a freelance makeup artist professional, located in Staten Island and who is licensed to work in the New York tri-state area. 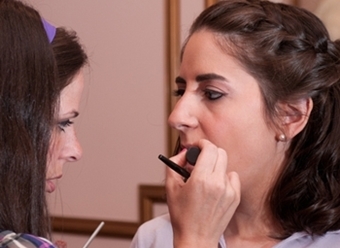 Jenny provides on-location makeup services in the New York tri-state area. Jenny's clients range from weddings and sweet sixteen's to private lessons and party gatherings. Jenny is exclusively licensed by Chez Madlin from New York. When you book Jenny you can go from day to evening in a flash...whatever look you are going for, Jenny will make it happen.